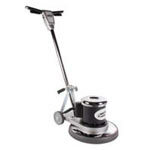 20 inch CleanFreak® Floor Polishing Burnisher | Buy an Electric Burnisher Today! 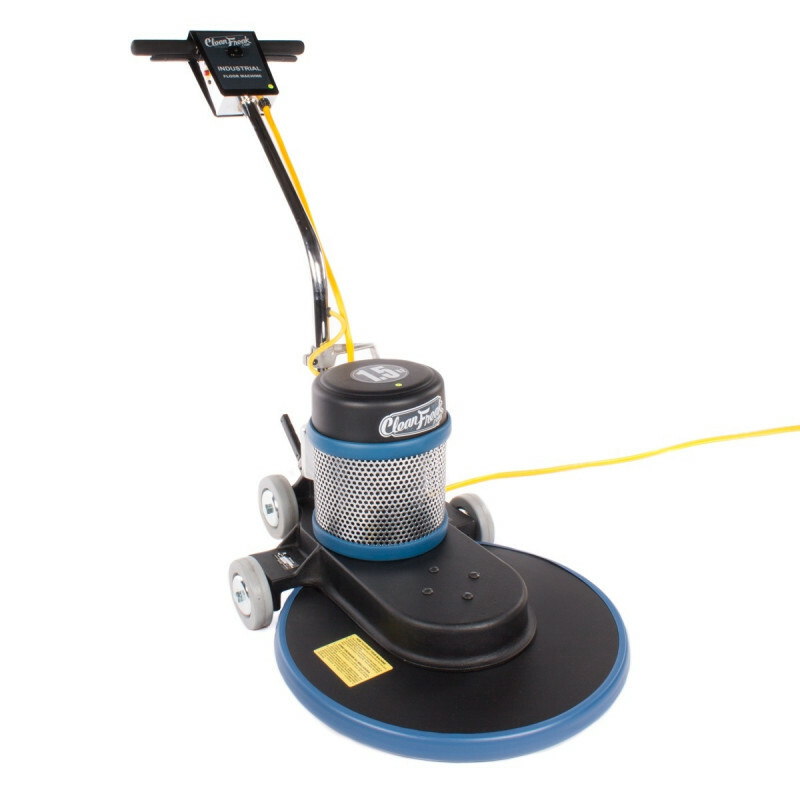 This 1500 RPM high speed floor polishing burnisher from CleanFreak is powered by a 1.5 HP A.C. electric motor with twin capacitors. It is a great for polishing floors in any retail store or commercial setting where a high gloss finish is a must. When used with our high gloss wax, this combination will leave your floors with the highest possible shine. Compared to our other electric floor burnisher buffers, this model's A.C. style motor, is rated to run up to five times longer than our normal D.C. powered burnishers. Comes with shock proof wheels for less bouncing, and a wide wheel base for easy start-up! Wide wheel base for easy start up. Epoxy powder coated steel shroud.